TUSQ delivers a rich tone, crystal clear bell like high end with big open lows and a significant increase in harmonic content and harmonic sustain. Increase harmonics equals more richness and character in your tone. Its the difference between a four piece choir and a twelve piece choir singing every time your play a note. The PP-1122-00 is a set of our beautiful TUSQ traditional style bridge pins with a 2mm black dot inlay. 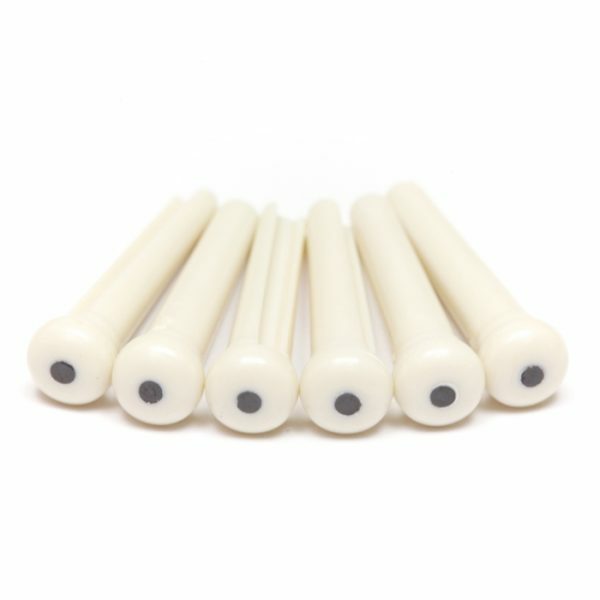 This is a perfect option to upgrade the pins in your acoustic guitar and dramatically improve the harmonics and tone of your instrument.